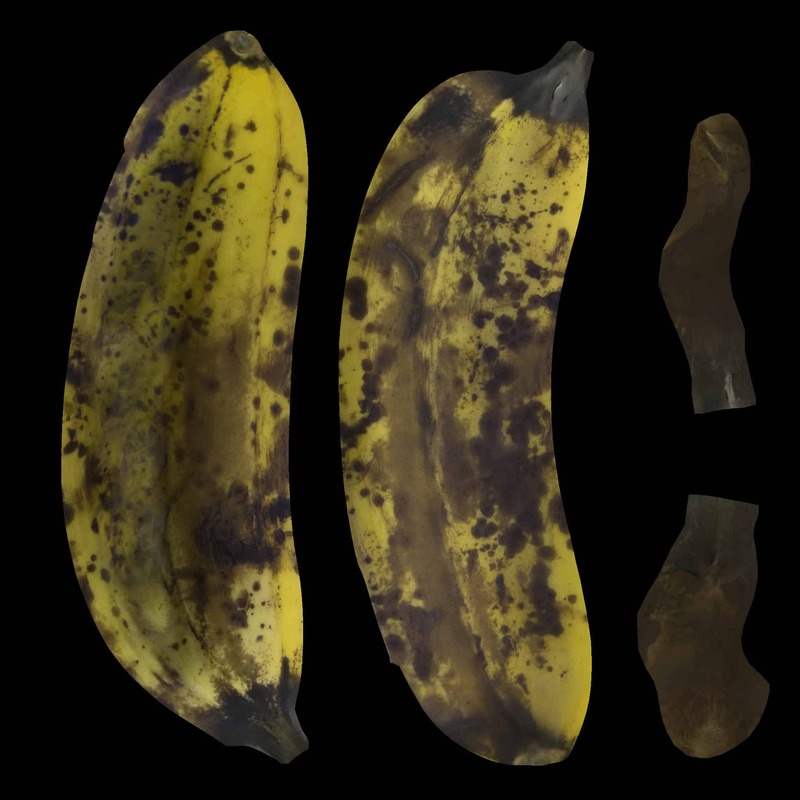 Banana Model: A single somewhat overripe banana from a scan. 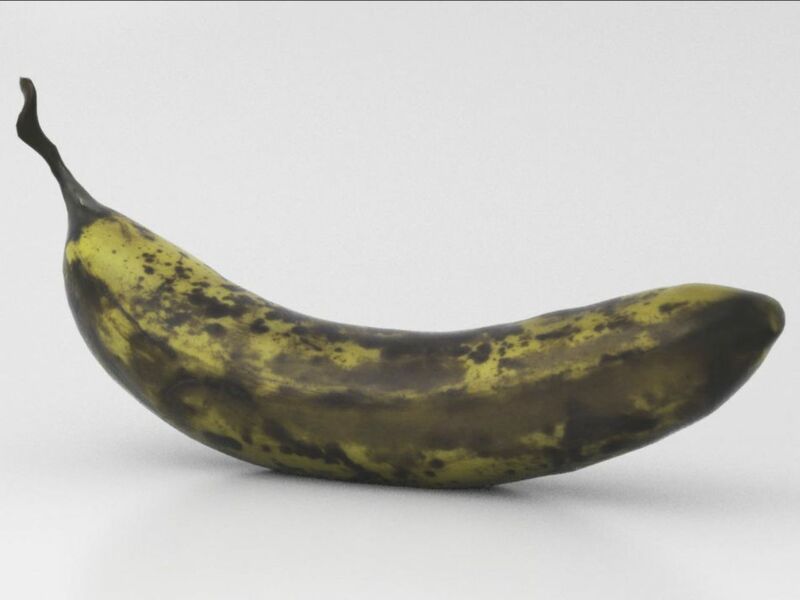 Banana Model: A single somewhat overripe banana. 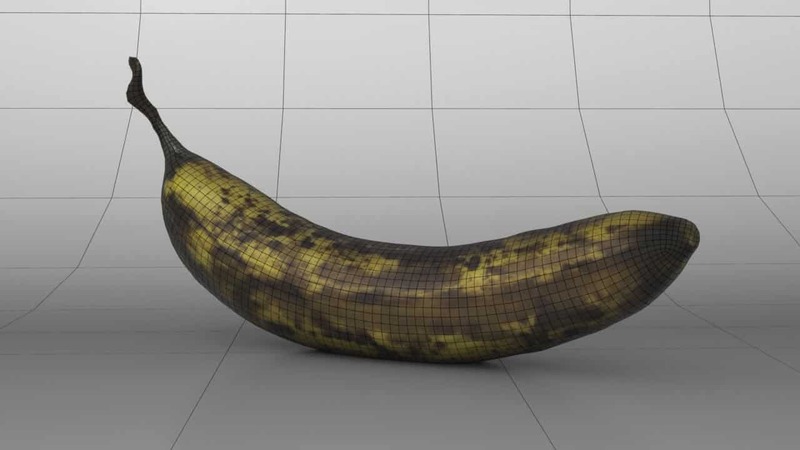 This model was created using photogrammetry, a photo based scan of a real banana. 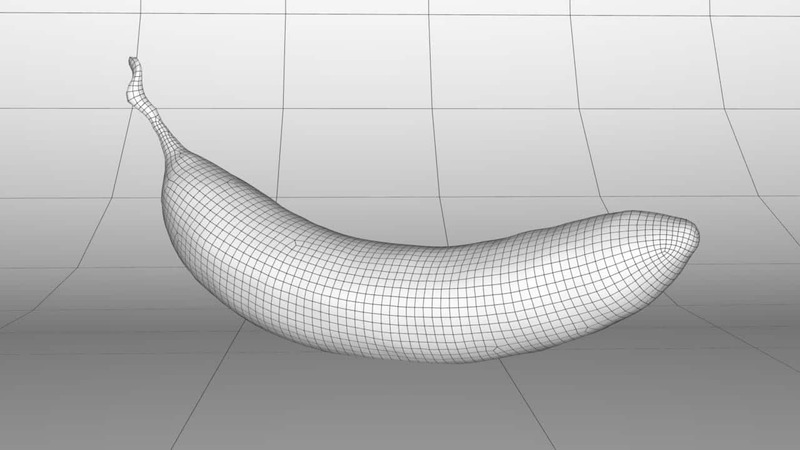 From photos, a point cloud was created and remeshed and then retopologized into a quad mesh and new uv layout to be efficient for rendering and animation.